user-generated Headlines and reports on this page = 3 news items. Page - 7. SECONDARY School pupils across the UK are being asked to share their School's big green dream, with the boldest ideas to be awarded £10,000 to help turn ideas into reality. 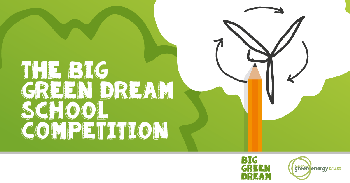 The ScottishPower Green Energy Trust, an independent charity which helps community renewable energy projects get off the ground, is calling on School pupils in Year 7 to 8 in England and Wales and S1 � S2 in Scotland to submit their:- 'Big Green Dream.' They can submit creative entries such as drawings, videos, collages, poems or paintings. The entries will be judged by the ScottishPower Green Energy Trust and 1 School will receive the top prize of £10,000 to make their dream a reality. Four runners up will receive £5,000 for their School and 8 Schools will receive £1,000. Funded entirely by donations from Scottish Power's Green Energy Fund customers, the Green Energy Trust has awarded over £1.6 million to more than 154 projects since it was 1st established in 2000. Alison McKean, Social and Environmental Policy Manager at ScottishPower and a Trustee of the ScottishPower Green Energy Trust, said:- "We're asking School pupils across the country: what's your School's big green dream? Young people have incredible ideas for making their Schools more environmentally friendly and to put renewable energy to good use on campus. We want to hear their ideas and make their green dreams a reality. Since 2000, the Green Energy Trust has supported 154 renewables projects across the UK. We're proud to have played our part in supporting the expansion of community renewable energy across the country." For more information about the competition or to submit an entry, please visit:- BigGreenDream.Co.UK. DON'T forget to submit your entries for this year's Christopher Salmon poetry extravaganza before the deadline on 19 January 2018. The Christopher Salmon foundation and Wirral Libraries have teamed up once again to deliver the annual poetry competition following the event's huge success in 2016. Now in its 8th year, the competition began as a tribute to former Calday Grammar School student Christopher Salmon who tragically lost his life to a rare streptococcal infection in February 2009, aged just 15. The theme for the 2017 competition is "memories" and is open to Wirral residents of all ages. Both winners and runners up in each age category will be awarded cash prizes and will be given the chance to attend a workshop with renowned local poet John Hughes. The prizes will be presented by Mr. Hughes at an awards evening for the winners and their families at Birkenhead Town Hall. The overall winner for the aged 18 or under category will also become Wirral's Young Poet Laureate for the following 12 months; with all winning poems being published in an anthology which will be available for purchase. Chris's Parents Julie and Rich Salmon said:- "We are absolutely delighted that the competition has grown so much in popularity and now attracts entrants whose ages range from 4 to 94. It is wonderful to be able to do something positive and creative in Christopher's memory which captures the imagination of so many talented people." The Christopher Salmon Foundation was set up in 2009 and has so far raised almost £50,000 for charity in Christopher's memory. Full details of this year's competition and official entry forms will be available from Wirral libraries and on the charity's website. Completed forms should be returned to Diane Mitchell at Birkenhead Library by 19/01/2018. A Sutton resident is calling on everyone to support the British Heart Foundation's (BHF) Christmas Appeal after her son stopped breathing 3 times in 2 years. Claire Cathcart, 37, is supporting the BHF's Christmas campaign after her son Jake, 2, suffered 2 potentially life threatening cardiac arrests and a respiratory arrest. The 1st cardiac arrest was when he was 3 weeks old in Hospital, and he had a respiratory arrest at home just 3 months ago. 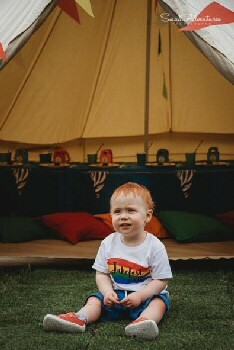 Jake has since been fitted with a pacemaker and had major surgery to close a hole in his heart on his 1st birthday, but it is likely that he will need a heart transplant in the future. Each year, around 4,000 babies like Jake are diagnosed with a congenital heart defect in the UK; that's 12 babies every day with many more diagnoses later in life. The BHF aims to raise over half a million pounds this Christmas, to help fund pioneering research into congenital heart disease, find new treatments and keep more little hearts beating. Visit:- NHF.Org.UK to make a 1 off donation to the BHF this Christmas and make a difference today! Mum Claire explains:- "Having to be ushered into a room after your tiny baby's heart stops beating before your eyes is horrific. Even though he was resuscitated and we were eventually able to go home, after being trained in CPR by the nurses at Alder Hey Hospital, he gradually got more poorly. He was sick all the time and we spent entire days at home caring for him around the clock. This wasn't the start to motherhood I expected. When we were told that Jake would be undergoing surgery, I felt relieved that there would finally be an end to our nightmare. But it wasn't. After his surgery, he had another cardiac arrest and we were told he needed to go back into the operating theatre to close a hole in his heart. Part of me wanted to wait, in case the worst happened, as it was Jake's 1st birthday. Jake was doing so well after his second surgery, but we had a setback a couple of months ago. It was distressing having to resuscitate a toddler so tiny but there was no alternative; I had to get him breathing again or I would lose my baby who had already fought so hard to be on this Earth. There's a chance he may need a new heart in the future, but we don't let Jake's heart problems define him; he's the happiest little boy you could ever meet and our hero." Amanda Bringans, Director of Fundraising at the British Heart Foundation, said:- "Sadly, many tiny hearts like Jake's will be struggling this Christmas. That's why we urgently need everyone's support so that we can find new ways to prevent and support families having to go through this heartache. With your support, we can continue to fund the vital research needed to help keep these tiny hearts beating."